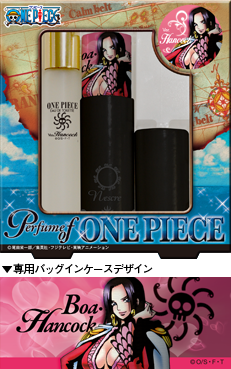 It is the 2nd phase from a "ONE PIECE" character perfume "NESCRE " brand. Five persons, Zorro, Mihawk, Sanji, Robin, and Nami, put on the market! ◆It passes through aromatic accord from the slightly bitter top note of a grapefruit and a green apple, and is a forcible powerful man's scent. ◆The scent in which the accord of a powdery iris and soft musk gives a classic elegance from a soft top note. ◆The scent in which sexiness and warm chivalry are given from the top note in which an aura is impressed. ◆A scent with a fruity top note to a also lovely comfortable addictive bouquet. ◆The scent of an oriental tune to which an exotic charm is released out of the top note of bergamot and a peach. I update as required in a COZY WAVE, LTD. homepage. 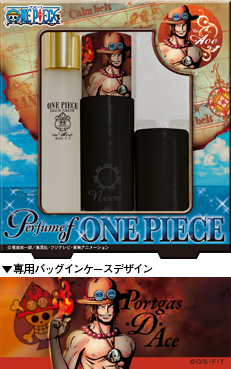 NESCRE character perfume "Perfume of ONE PIECE" and "Perfume of AQUARIONEVOL" are reservation starts from August 1. 2,000 pieces each limited sale. It is a reservation start in each store from August 1, 2012. 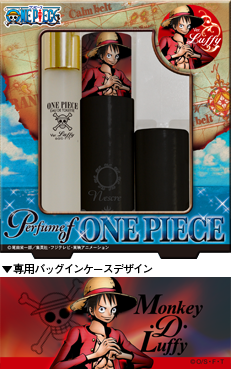 "Perfume of ONE PIECE" and "Perfume of AQUARION EVOL" Both release dates are on August 20, 2012. About future deployment, I update as required in a COZY WAVE,LTD. website. drugstore circulation agency : BORGO TRADE Co.
public distribution agency : HOPPER DREAM, Ltd.
BANDAI CO., Ltd. x COZY WAVE,LTD. 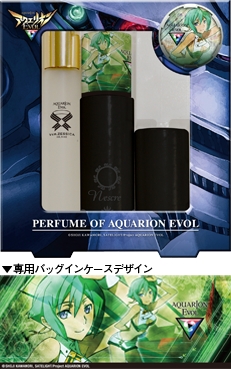 collaboration brand "NESCRE" character perfume birth It will develop from the middle of August, 2012. 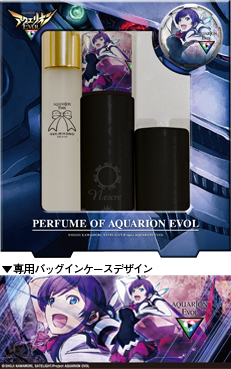 It will be the sale start from the Tokyo International Anime Fair about the image perfume of SKY HIGH, ORIGAMI CYCLONE, and LUNATIC late in release March. It is a good-young-man scent of the United States which settles in sporty fougere note from the green freshly top note. the accord of the top note of fresh bergamot to Cedar and sandals forms a peace woody note it is an abyss scent which is united with quiet musk as gradually. The soft scent of Rose who is fragrant with a whiff, and tea. It is a also gently painful scent which calms down the anger held secretly and darkness. 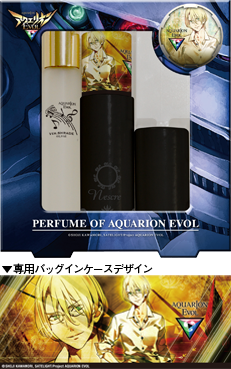 Incorporated company COZY WAVE is a 「TIGER & BUNNY 」aroma fragrance. Ver.WILD TIGER Ver.BARNABY BROOKS Jr. is put on the market. The urgent telegram entered from HERO TV. It seems that there is an urgent announcement from two heroes belonging to the Apollo media soon. 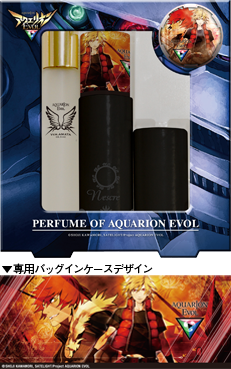 This announcement is a favorite perfume of what, WILD TIGER, and BARNABY BROOKS Jr.!? The popular scent of BARNABY BROOKS Jr. is just going to worry an uncle's scent to a woman even if not a woman overwhelmingly at any rate. A scent with the tenderness which settles down from the spicy top note manly at a dry taste to the milky and mild scent gradually by herbal. The natural scent which disappears without an aromatic scent's continuing from the fresh and bitter top note of a grapefruit and herbal, and seldom dragging the last.